The original divine vibration of the Reiki symbols was lost when Man disconnected from Source. The Angelic Reiki attunements bring a restoration of this clear, pure energy. This can only be gifted to us by the Angelic Kingdom of Light. The symbols in this workshop are given entirely through the Angelic vibration. Healing Angels give the attunements and then work with you on a permanent basis taking your connection to the Angelic Kingdom to a new level. 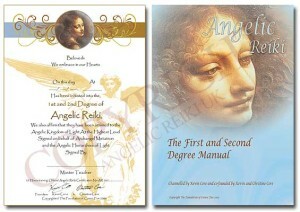 It will impart to the student a complete system of healing used through the Angels and the Reiki symbols. The student is given practical ‘hands-on’ experience in healing methodology involving healing as a channel, healing with intention, healing with a Master and Galactic Healers and multi-dimensional healing. The workshop also includes how to attune spiritual tools such as crystals and essences. 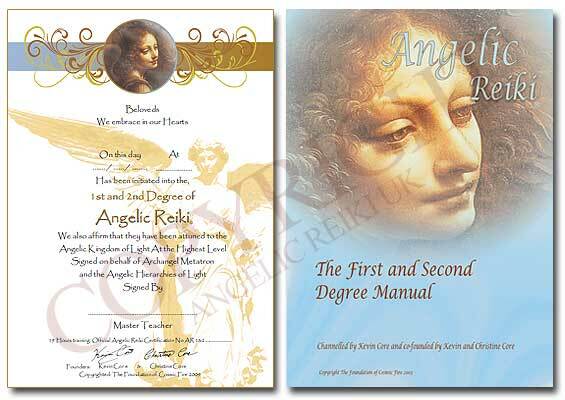 Plus you will receive your Master Crystal, First and Second Degree Manual and your 1st and 2nd Degree Angelic Reiki Certificate. All my workshops for 2018 are complete so please register your interest in 2019 dates using the contact form below and I will let you know about the new dates as soon as they are available and before I post them online.